Contrary to a popular belief, it doesn't really cost too much to turn into a PC gamer. For the majority of my PC gaming days, I’ve had the privilege of playing on mid-range to high-end gaming rigs, powered by the latest GPUs from AMD and NVIDIA. Whether it was a laptop or a full-fledged desktop PC, I was spoilt by high-frame rates and high-resolution textures in games. Naturally, I grew to be dismissive of playing games on low-end systems. If I didn’t get an appropriate frame rate in first-person shooter games with visually-pleasing graphics (not even high-resolution textures), I wouldn’t play on such systems. Having tried my hands on low-end rigs and systems running on CPUs with integrated GPUs, the experience wasn’t exactly pleasant. Looking at the spectacularly low frame rates, low graphics details and jagged edges convinced me to not even consider playing on such systems in the future. To achieve smoother gameplay, you have to lower all graphics settings, sometimes even the resolution. But the moment you lower the resolution, details are lost and the games looked terrible to me. Hence, I ended up not recommending this kind of hardware to folks building a new gaming PC so that their first PC gaming experience wasn’t jarring. The fact remains, however, that not everybody is a reviewer with direct access to brands and cupboards overflowing with expensive components. And what I didn't realise was that the entry-level gaming today isn't half bad. Can you play video games on low-end systems? It’s an old and uninformed assumption that PC gaming demands a high-end system with expensive GPUs doing all the heavy-lifting. While that is definitely true for AAA games (video game franchises like Assassin's Creed and Call of Duty), there are hundreds of PC games out there that can smoothly run on low-end systems. And I’m not talking about the older classic PC games from a decade ago. Some of the most played games currently on Steam including Dota 2, CS:GO, Warframe, Team Fortress 2, etc., can comfortably run on integrated GPUs without even requiring a discrete graphics card. The joy of PC gaming is that you can start small with an entry-level system. You might be missing out on the latest big franchises, but you will still be able to play the older titles from the same franchises. Once you’ve invested in your system, you can gradually upgrade your components when you have the necessary funds and play those AAA games sometime in the future. 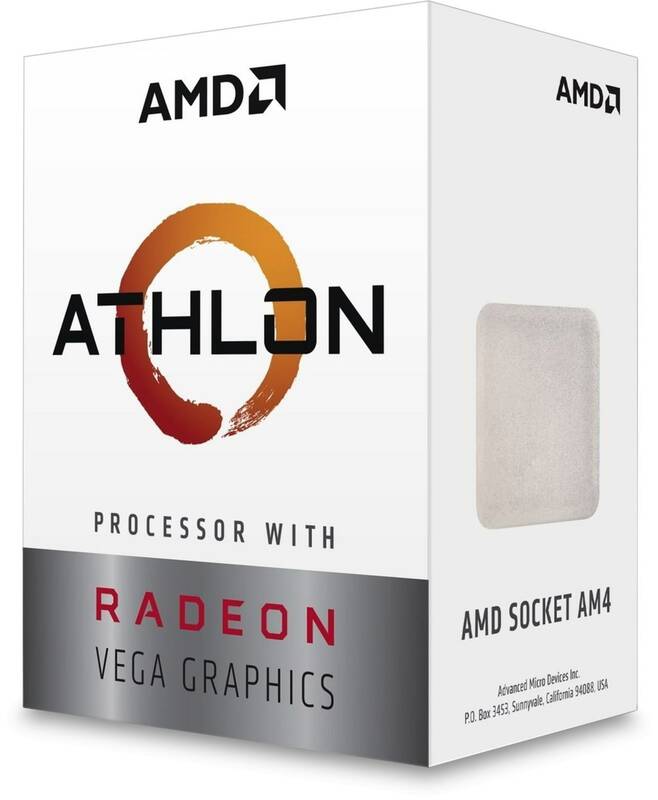 AMD sent us one of its new lineup of Athlon APUs (Accelerated Processing Unit) with Vega 3 graphics – the AMD Athlon 200GE. APU is an AMD marketing term that essentially means a CPU with an integrated GPU on the same chip. This means you won’t have to install a discrete graphics card in the system to play games. It’s a dual-core CPU with four threads and a base clock speed of 3.2 GHz. The GPU has three cores, taking the total to five compute cores on the APU. Priced at only Rs 4,500, the 200GE is the lowest variant in the lineup. Intel CPUs also feature integrated graphics chips, but AMD claims that its APU's GPU is more powerful. As mentioned earlier, I wasn’t expecting great things from the APU. However, I was in for a surprise. The first game that I fired up was CS:GO since it’s quite popular in PC gaming and also a personal favourite. At 1920x1080 resolution and everything else brought down to low, I saw frame rates go up to 65 fps. The frame rate wasn’t around 60 all the time since it would drastically drop to around 30 fps when the smoke grenades would be rendering in your field of view. Although you lose details and textures from the game, you will be able to smoothly play CS:GO competitively. When the resolution was lowered to 1280x720, the frame rates jumped to around 150 fps. The middle ground of 1366x768 resolution worked out the best where the frame rates did not drop below 60 fps. 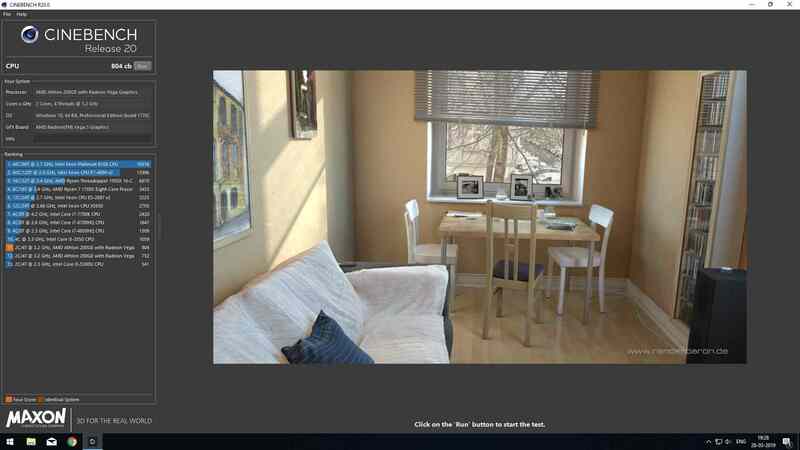 Cinebench R20 benchmark result on the AMD Athlon 200GE. Next up we launched older titles including Left 4 Dead, Portal and Half-life to check how does the 200GE hold up against the classic games. All three titles displayed almost the same graphics performance. I could face hordes of zombies in Left 4 Dead without the frame rate going below 30 fps at a 1920x1080 resolution. It was able to go up to 60 fps but it wasn’t stable. After bringing resolution down to 1280x720, I got up to 130 fps and in the action sequences, the frame rate didn’t go below 70 fps. This is more than enough for these classics considering that there are numerous other titles from the same era that can comfortably run on this system. For all the battle royale fans out there, I also tried Apex Legends, Fortnite, and PUBG. Of the three, Fortnite displayed the best graphics performance with frame rates hitting 65 fps at 1920x1080 at low settings. This is good enough to competitively play the game. Apex Legends struggled to keep up a stable frame rate and it was almost unplayable at around 15-20 fps. In PUBG, I played in the lowest settings at 1280x720 resolution and that’s where I got around 30 to 45 fps. The game doesn't look that great at these settings, but it's completely playable. The gaming experience on the 200GE was unexpectedly decent and it’s great to know that so many older titles and even newer ones can comfortably run on this APU. All of this at a cost of only Rs 4,500 is actually quite incredible. If you want to push the performance further, you can buy used graphics cards at around Rs 5,000 and easily touch 60 fps on many AAA titles at 1920x1080. Considering the base price of the system we used, you can get into PC gaming at a cost lower than a Xiaomi Poco F1. The only real issue I have with this config is the hard disk. If you can up your budget a bit, games and Windows will load up much faster and your system will seem far more responsive. The bar for entry to PC gaming has hit a surprising new low, and as a PC gamer, I find that quite exciting. You no longer have an excuse to avoid joining the #PCMasterRace!